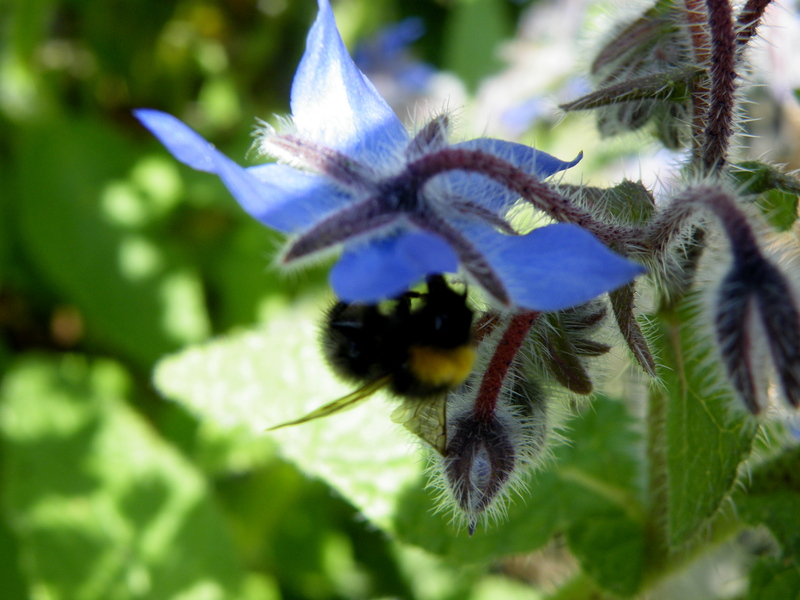 Today I spent some time around the Borage plants, I wanted to count the amount of Bees, or Bumblebees, if any, that would be visiting. 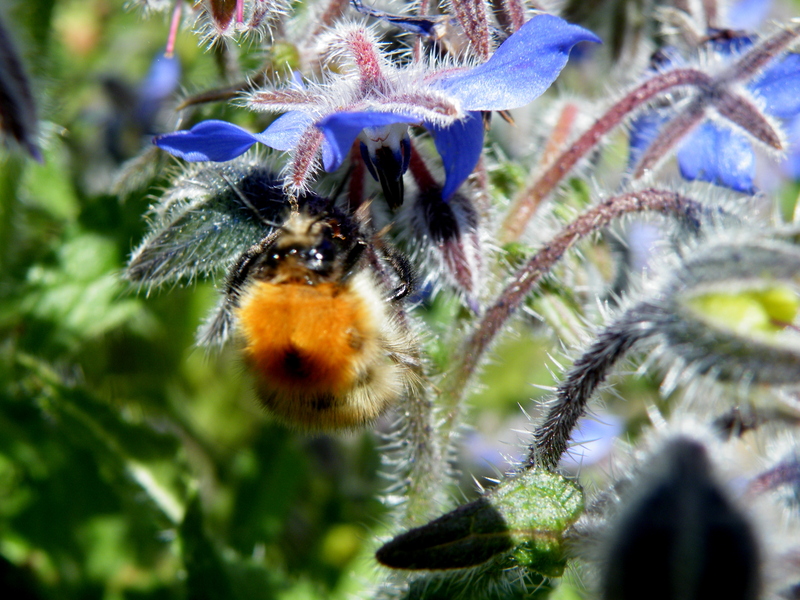 As it was a sunny day there were quite a few Bumbles feasting on the delicately coloured Borage flowers. 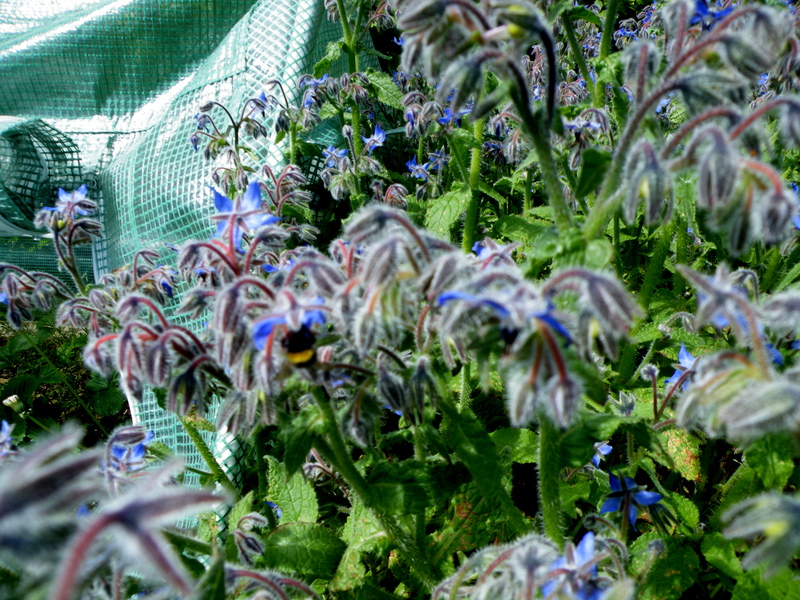 This year I let the Borage plants, about half a dozen of them, grow in one of the raised beds, I did it especially to attract the Bees, and it seems to be working, the plants became huge and all of them are flowering profusely. I just enjoyed staying with it for a long while and clicked with the camera, and was able to capture some of them. Meanwhile I had forgotten that I put a pot of soup on for warming up and if Ian would not have discovered it the pot would have burnt to a cinder! Oeps! Thank you Ian. 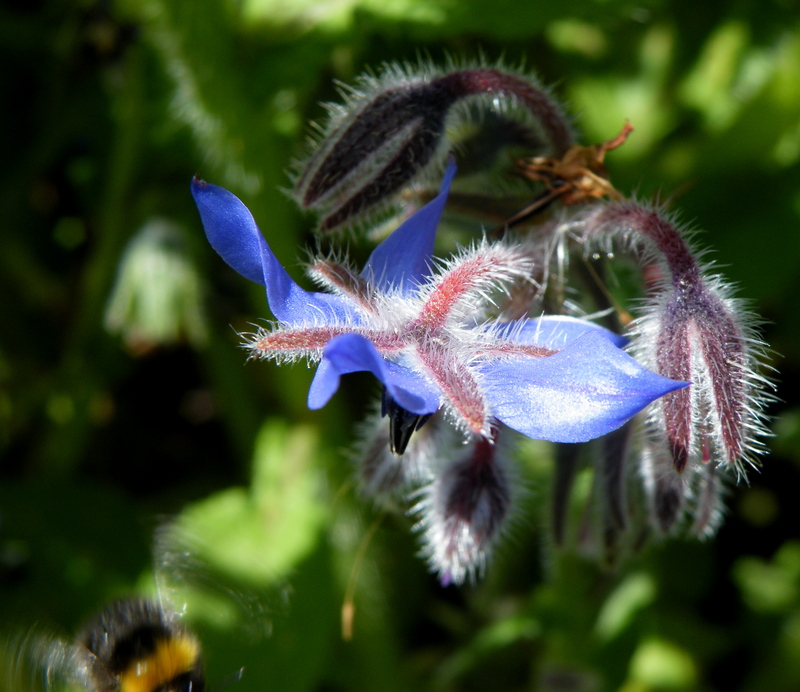 Borage is such an easy plant to grow, it basically starts growing all over the garden, where I leave it as much as is possible, I think that it is very important to grow as many wild flowering plants as possible to help the declining Bee populations. It is also very attractive to have wild flowers among the vegetables. Above: More Bumbles, of two different types. Above: and more of them I am happy to say. 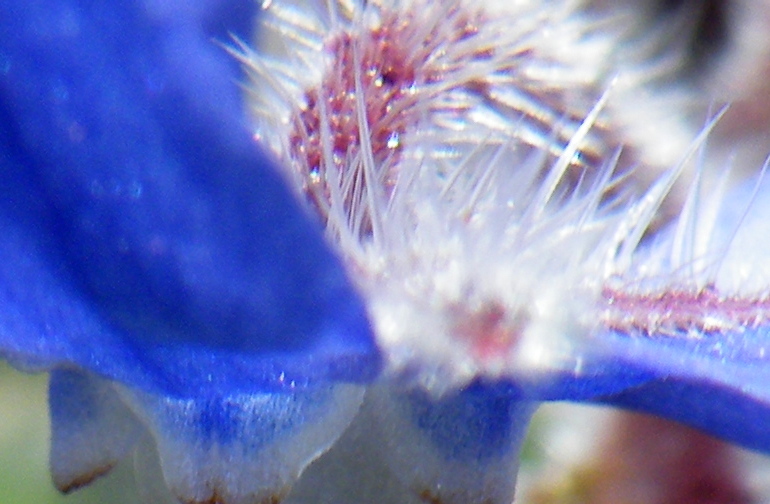 Above: Detail of a Borage flower, and view from above. 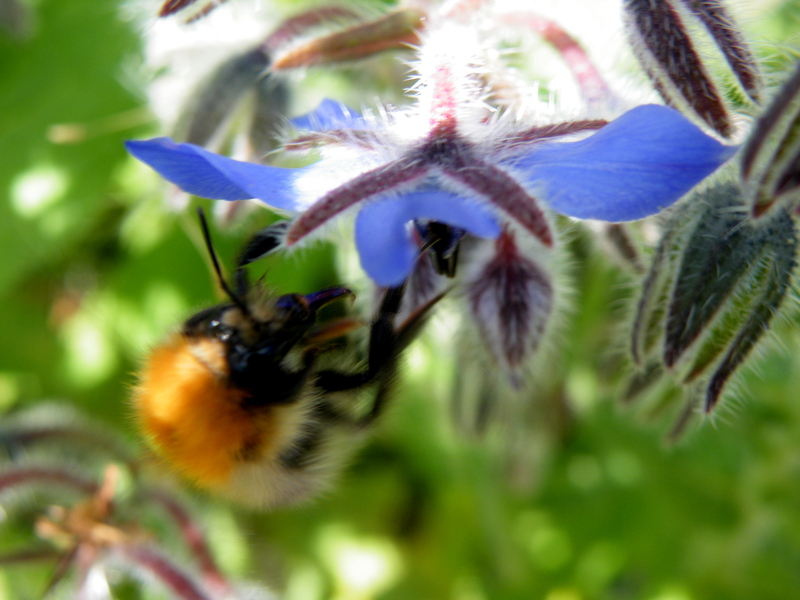 Borage and bees.. 2 of my favorite things. Your Borage is enormous! Mine has never gotten anywhere near that size. Lovely post ,Agnes! 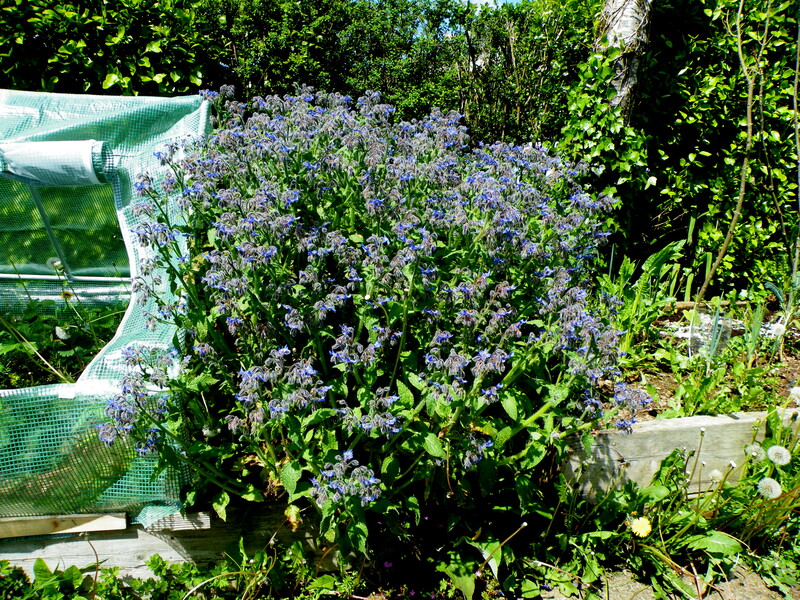 My borage is just starting grow – only sowed it recently. Or rather the first time I sowed some it was directly into the ground and has not come through at all. I’m so excited about seeing the flowers. Thank you! They might come out after the flowers at the moment fade, which will be great for continuation. Anyway, it sounds like you had an interesting experience over winter with yours! Your borage is much earlier than mine. Ours is only inches tall. I do love it and it grows enormous, attracting uncountable bees. It can be very invasive though, self seeding and spreading so rapidly. I pick dozens of new plants out each year and give away or dispose of otherwise it is all I would have in the garden. My strawberries are in full flower, a beautiful sight. Your pictures are lovely. I do love true blue flowers. Thank you and lovely to hear your borage story too. Wow that is one tall borage plant – like Melissa on Aran mine are just about ready for planting out (a few inches tall). 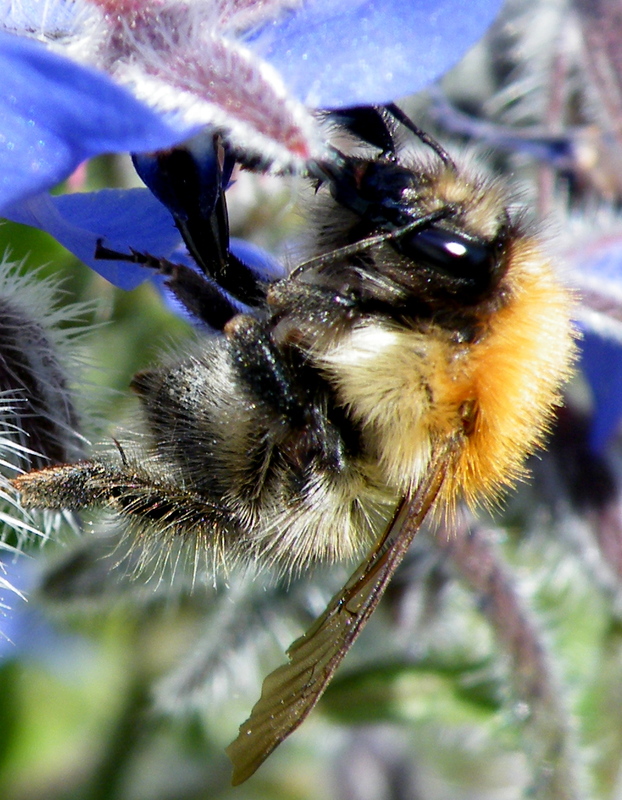 Just love those bee photos – the ginger ones looks like a Carder bumblebee. At the moment we’ve lots of these bees in our garden too and they are feeding on the comfrey flowers. Interesting Cynthia, my comfrey flowers are not out yet, and so each area has it’s own specialities. Lovely to be connected and know about these differences.